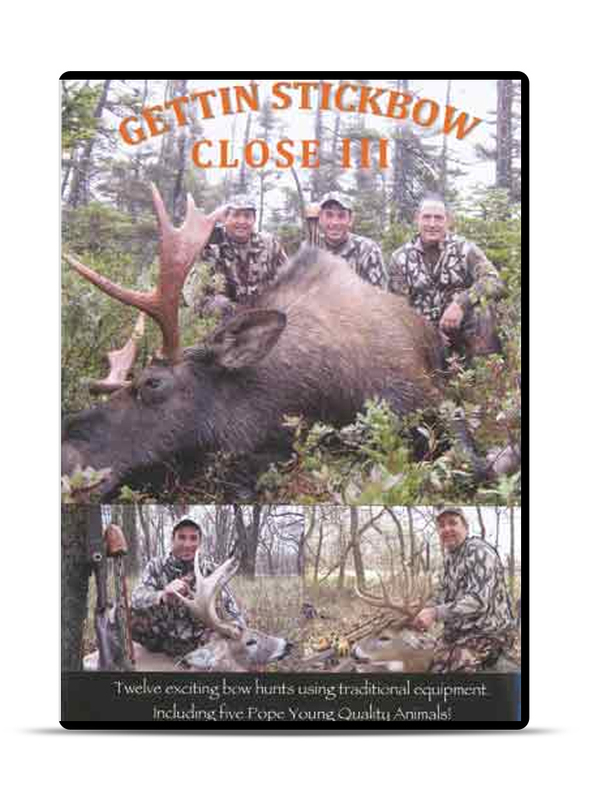 Our Traditional Bow Hunting DVD Series is now available for digital download—stream on almost any device you own! 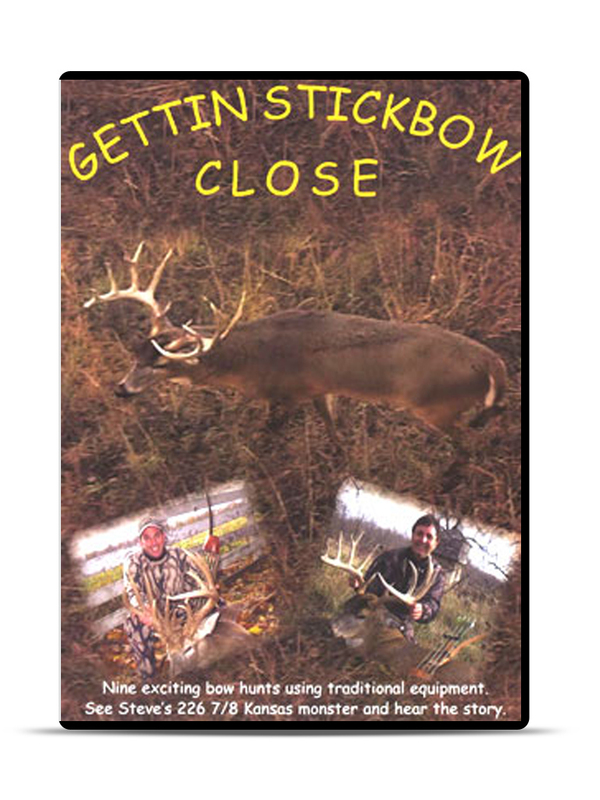 Visit digital.gettinstickbowclose.com to order. 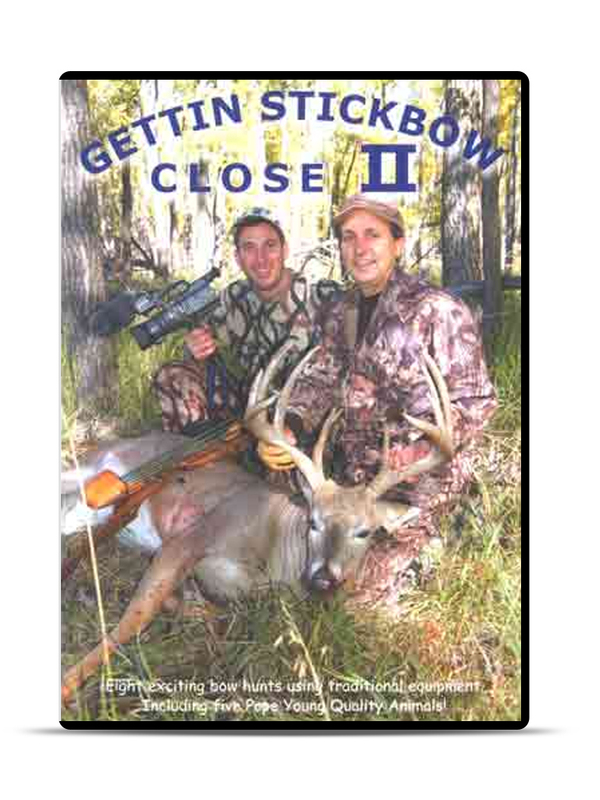 Traditional Bow Hunting DVD 100 minutes Come along with us to Montana, Kansas, Texas and New Jersey hunting for Whitetails in our great country. 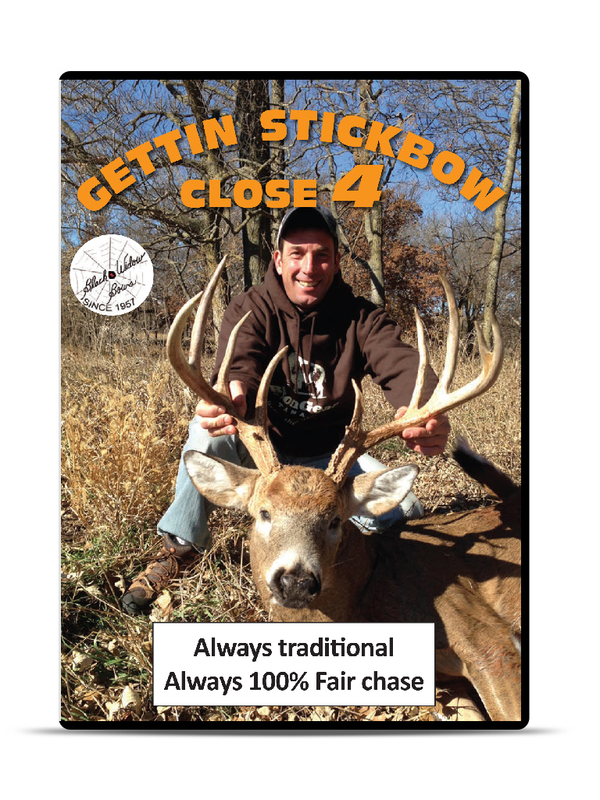 See Steve's 226 7/8 Kansas Monster and hear the story also 172 11pt, 149 11pt, 143 13 pt, 140 8pt Bomber and more all at close range. You're gonna love this one. Come along with us on another journey as we hunting Whitetails in Montana, Kansas, and New Jersey.Also see Steve hunt for Moose in Newfoundland and an exciting Hog Hunt in South Florida.We continue to bring you hunts as they happen. NEW! Come along on our hunting adventure of chasing whitetails across our great country. Our goal has always been to bring you hunts the way they actually happen, the good, the bad and the ugly. We hope you enjoy our production.